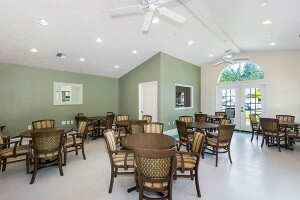 Familiar, warm, and homelike describes meal service at Parkland Village Retirement Community. Our residents are often joined by team members. Residents are encouraged to assist with setting the tables with our brightly colored place settings to enhance resident’s visual perception. Great food is one of life’s special pleasures, and our chef takes pride in offering a fine dining experience with a terrific variety of healthy, hearty meals. 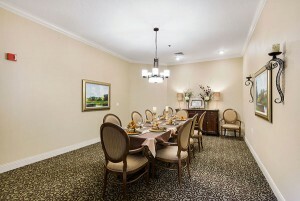 From dinner favorites to traditional holiday fare, residents can enjoy three meals a day with a fine dining room, private dining room or in the comfort of their own apartment. 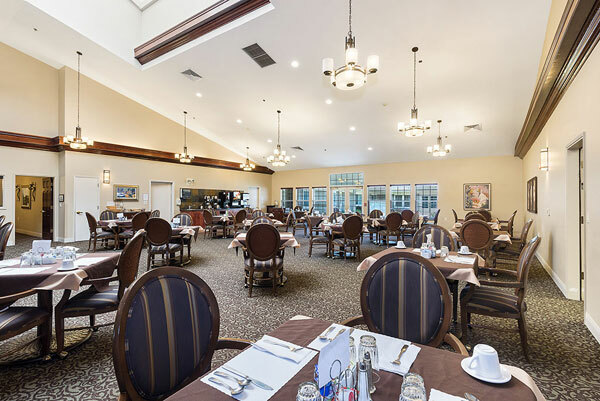 At Parkland Village Retirement Community, our menus always include a hot breakfast with a choice of main entrées with complimentary sides, homemade soups, salads and something for the sweet tooth. We look forward to serving you.